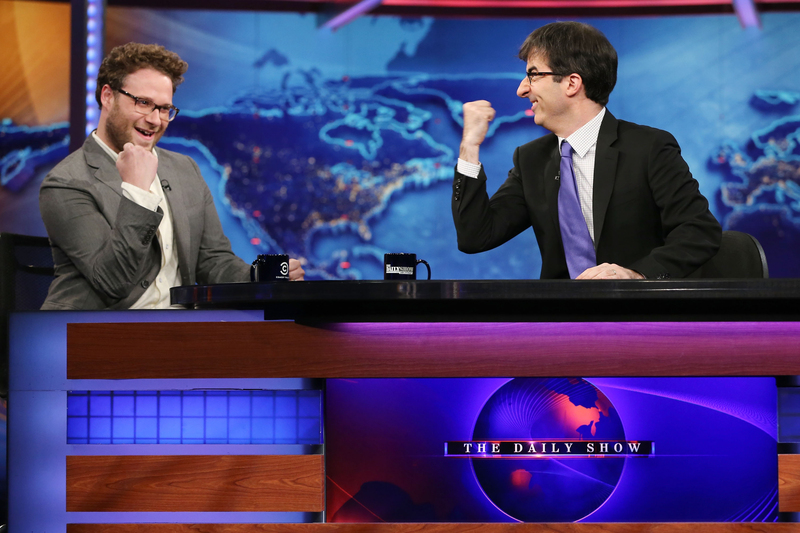 The Daily Show…with John Oliver? When it was announced in March that Jon Stewart would be taking a 3-month break from The Daily Show with Jon Stewart to direct the film Rosewater, fans across the country took a collective gasp in shock. Despite the fact that Stewart wasn’t the first person to host The Daily Show, Craig Kilborn unfortunately holds that title, the show has thrived under Stewart’s guidance. Its politics driven satire has won 18 Primetime Emmy Awards since Stewart took the reins and was even voted as one of the best shows of all-time by Time magazine. 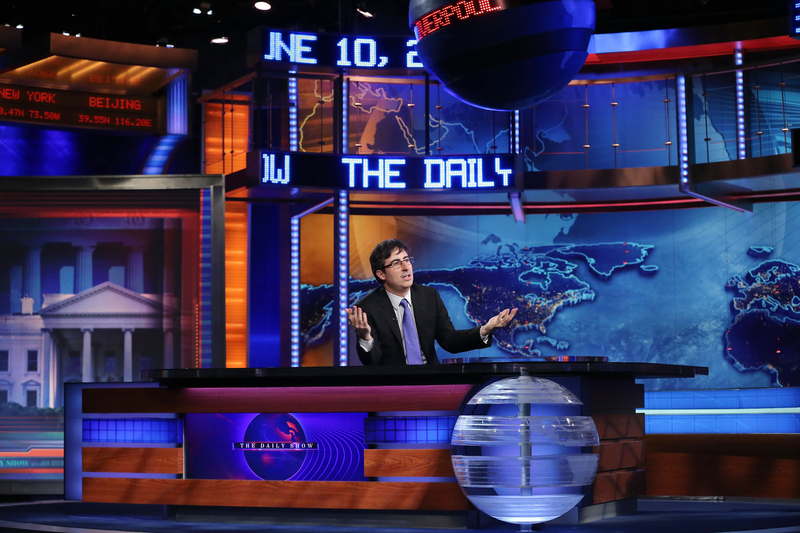 A wide majority of viewers even turn to The Daily Show more to receive their news than traditional news programs. Stewart shattered the boundaries of journalism through comedy and really nothing has been the same since. The Daily Show became Stewart’s baby and he nurtured it to unimaginable success and popularity. It’s for this reason that people were so shocked that Stewart was taking a season off. The show has become so reliant on his guidance, and it’s almost as if a parent was leaving their child behind with one of their close friends. When it was revealed that long-time correspondent John Oliver was to guest-host while Stewart was gone, the response was as mixed as they come. People familiar with Oliver’s work know the man can absolutely kill it when it comes to comedy, but whether or not he can handle hosting duties was a big question. Oliver has played a lot of comedic roles, with his time in Community being one of his most recognized performances, but most of his non-standup performances have been in a supporting role. The other concern was if he could even live up to the already massive reputation and following that The Daily Show has. Can he succeed as a substitute Stewart? Will the show drop significantly in ratings during this interim period? These were just two of the many questions that arose after news broke. Oliver has now hosted for a full two weeks of shows, and all things considered, he has done a very good job. I’m not sure what the decision process was when choosing who would replace Stewart, but Oliver is proving to be a very good pick. He’s witty, funny, and is slowly but surely finding his comfort zone. It’s obvious that there was some slight discomfort on Oliver’s part in the first episode or two, which was to be expected considering how big of a role he suddenly has — but that quickly dissipated. His rapport with the other correspondents is still prominent as well, which really works in the show’s favor. His first episode hosting on June 10th featured an hilarious skit where the other members of “The Best F#@king News Team Ever” Samantha Bee, Aasif Mandvi, Jason Jones, Al Madrigal, and Jessica Williams all expressed extreme displeasure in Oliver taking over. Many of them humorously stated that Oliver was chosen based on the fact that he is both British and a white male, which they claimed took precedence over different races and people who have been with The Daily Show longer. This type of humor really did help Oliver start off his run on the right foot. As the episodes continued on, it was clear that one of the running jokes during Oliver’s tenure (or at least in the early days) would be the fact that Oliver is not Stewart and is blatantly British. The show has so far always started out with Oliver making a joke about where Stewart currently is, including being on an Eat, Pray, Love journey of self-discovery. Oliver also without fail says “Hello, I am John Oliver and yes, I am still covering for Jon Stewart” or some variation of that statement. Jokes of this nature were obviously expected during the early period, but they run the big risk of entering “beating a dead horse” territory sooner rather than later. We get it, John Oliver is not Jon Stewart and him taking over the show is a thought on everyone’s minds. He’s also British, so jokes galore about that! I’m okay with these now, but having them be prevalent going into July won’t work in the shows favor. It’s as if Oliver is still in Stewart’s shadow when this should be his time to shine. The jokes outside of this have been great however, which makes Stewart’s absence that much easier. 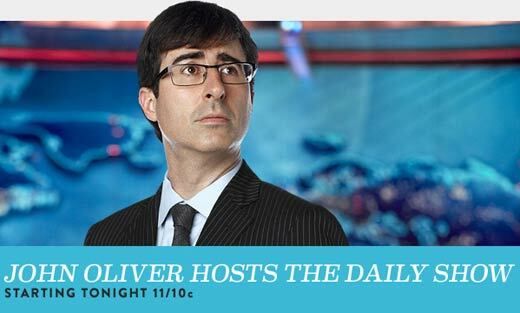 Episodes hosted by Oliver are so far as hilarious as before so watching The Daily Show is still a lot of fun. Current events like the NSA scandal has definitely given Oliver a real run for his money, but the show has still stood strong. Oliver has done a great job with his interviews as well which is obviously a good thing. The bit on June 17th about Iranian President Mahmoud Ahmadinejad leaving office was a bright spot in the past two weeks with Oliver hoisting up Ahmadinejad’s classic tan “members only” jacket into The Daily Show “Autocrat Wardrobe Hall of Fame.” Ahmadinejad’s jacket now joins the famous coats of past dictators Saddam Hussein, Muammar Gadhafi, and Kim Jong-Il. It’s a classic example of the absurdity we have come to love on The Daily Show which lets us retain that bit of familiarity with the program. There was a lot of concern regarding how The Daily Show would fare without its prodigal leader, but it’s crystal clear that the show is in perfectly capable hands. 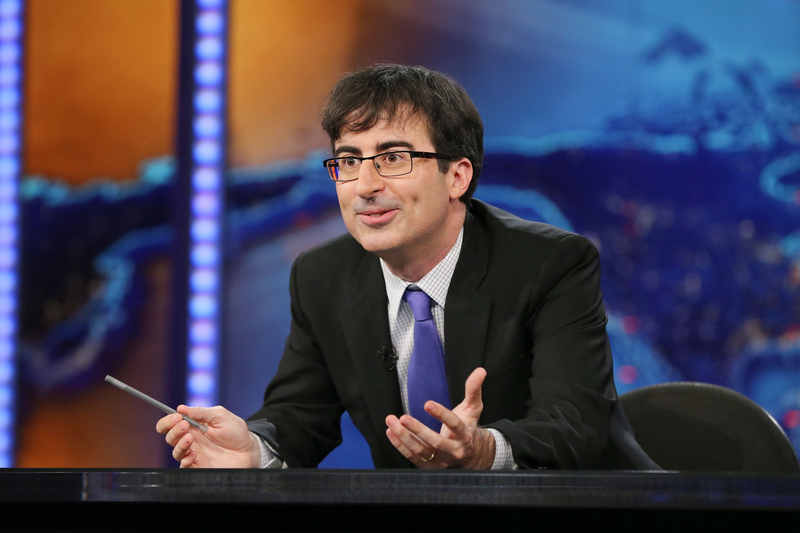 John Oliver is not Jon Stewart and that’s totally fine. The show is still hilarious and there’s no reason why fans shouldn’t come back every Monday-Thursday night to watch one of the funniest shows on television. There is still a sense of familiarity with the program despite the change in hosts which is really what people needed during this time. I’m glad Oliver is the host, and I’m even happier that he’s done a great job so far. Chalk that up as a big win for good old England.